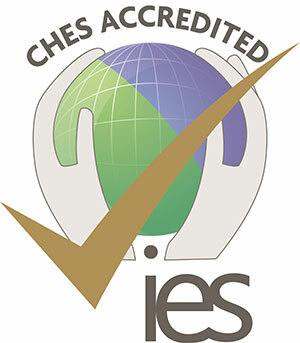 Accredited by the Institution of Environmental Sciences (IES) for the purpose of eligibility to apply for associate membership. An integrated study of the Earth's places, societies, environments and landscapes, including vocational and transferable skills in IT. Geography is the study of the Earth as the home of people. It concerns the disposition and interaction of people, resources and natural events, and places emphasis on cultural and social perspectives. It also explores the nature, scale and processes affecting physical features on the surface of the Earth, and the human element in global events. A Geography degree provides a multi-disciplinary foundation in these areas and provides access to a wide range of careers. At Ulster, you have access to a range of human and physical geography modules, so you can tailor your degree according to your preference. Our teaching is highly rated by our students, having received 100% satisfaction in the National Student Survey four years in a row. The Geography degree is delivered by staff from the School of Geography and Environmental Sciences. We are known for having an open, friendly and informal atmosphere. We have excellent links to industry, and all our courses are carefully designed to enhance student employability and career prospects. In our undergraduate programmes we put a strong emphasis on skills-based practice and overseas field-work, with opportunities for industrial placements and studying abroad. We are located in Coleraine on the spectacular Causeway Coast, minutes away from urban centres and natural laboratories including the open sea, estuaries, beaches, rivers, lakes, woodlands and uplands. Geography is an integrated study of the Earth’s places, societies, environments and landscapes. So if you are interested in learning about the world in which we live and about pressing issues that affect us such as climate change, environmental hazards, conflict and social inequality, and sustainable development, then a geography degree is for you. The discipline of geography is unique because it is the only university degree that bridges the social sciences and humanities (human geography) with the natural sciences (physical geography) in a coherent way. It remains one of the most popular degrees to study at university and students enjoy the programme because of the insights they gain about the world around them. Because geography provides an ideal framework for relating other fields of knowledge, students trained as geographers can contribute substantially to the applied management of the Earth’s resources and its environments. At Ulster we have designed programmes which cover the main elements of geographical analysis. The advanced training that you will receive in geography is designed to enhance your employment skills once you graduate. Three years (four years with DPP/DIAS option). On campus five days a week, contact time average 16 hours per week, 34 hours per week average independent study including academic assessment. This module is designed to introduce level 4 students of environmental science and geography to a range of practical skills related to investigative work in these areas of science. This encompasses data gathering (particularly related to mapping, questionnaires, interview techniques, and focus groups), data summary and analysis, and the use of software packages for data display and analysis (Excel and SPSS). The module also provides study and writing skills, data presentation, report writing, and the use of information resources. This module introduces some of the main theories, ideas and issues associated with the study of sustainability, spatial inequality and the attendant development process and policy issues. It adopts a scalar approach and examines many of the different developmental issues operating at the global, through the international, national, regional, local, and right down to the individual levels. The module focuses upon patterns of disparity and development in the less developed world, in western Europe, and the island of Ireland. This module is an introduction to general geological and geomorphological processes and concepts. Students will learn about the structure of our planet, learn to identify rocks and minerals, read maps and interpret geologic and geomorphological processes and features in the field. This module explores the key theories underpinning both human and physical geography. Using a range of case studies and examples we work through some of the most contested debates and issues dominating modern geographical thought as well as revisiting the genesis of current geographical ideas. The biosphere provides an overview of the constituent parts of the living component of the planet, beginning at the level of the individual organism. Starting with an introduction to the history of life on earth and several general concepts, this material will move into the diversity of form in plant divisions and animal phyla in light of taxonomic classification, systematics and phylogeny. These concepts will be outlined with reference to specific case studies and the current state of scientific literature on the subject. These concepts will be demonstrated through a series of practical exercises which will give an appreciation of the diversity of external and internal anatomical form of a range of different organisms and their approaches to life. This module is designed to introduce students to the theory of environmental systems and provide an understanding of systems behaviour using various environmental systems as examples. The theoretical component of the module will be provided by lectures, which will cover a contemporary thinking into concepts of environmental systems and the practical part of the module will consist of a laboratory exercises. This module is designed to allow students to gain a good understanding of weather phenomena, atmospheric circulation and our climate. In addition, impact of human activity such as pollution and climate change on the atmospheric conditions and circulations will be explored. This module offers students the opportunity to study the principles and applications of terrestrial and underwater remote sensing, and develop links between remote sensing and GIS. Students are expected to become familiar with theoretical foundations and to demonstrate technical principles through a series of software-based practical exercises and projects. Through a variety of teaching methods this module provides students with a range of environmental, geographical and generic employment-orientated skills and practices to help them enhance their employability potential and to integrate more effectively into the workplace. Students will gain an understanding of the various professional and career opportunities in the marketplace for Geography and Environmental Science students and have the opportunity to experience the full job application and selection process. This module investigates the links between environment, human action and associated development through the exploration of environmental change, the causes, impacts consequences of environmental issues and by considering the concept of sustainable development and how conflict emerges in society. Continued development of regions and the expansion in the use of the environment and its resources requires planning and management of often complex and diverse issues and stakeholders. This module examines the relationship between society, planning and environment and explores a range of decision making approaches and the wider social implications of these. It considers the concepts and requirements of environmental impact assessment and outlines the methodology of planning an EIA. This two-part module introduces students to research design in geography and to the theory and practice of geographic fieldwork. Part one is lecture based and covers qualitative and quantitative research methods, risk assessment, research ethics and research project planning. Part two is a residential field-course which explores these methods and issues at first hand. The module serves as preparation for EGM519 Geography Dissertation, which students take in their final year. This module provides a general introduction to the physical, chemical and biological processes occurring in freshwater, including water balance processes, their management and relevance to society. Ecology is a broad discipline involving biology, chemistry and physics of the environment, geography and human impacts. Concepts of ecology, including the interactions between individuals and populations, and the structure and resilience of communities and ecosystems, will be examined with reference to specific case studies and in the context of the biosphere as a whole. A range of different ecosystems will be studied in terrestrial, freshwater, marine and microbial environments, from which case studies will be drawn. These case studies will include the key production processes in each ecosystem, in addition to model organisms at a range of trophic levels and relevant publications detailing the current state of knowledge for each system. The role of applied ecology, in relation to conservation and environmental management will also be emphasised. This module is designed to introduce students to the interaction between coastal and marine processes and forms, and how these relate to the human use of the coastal zone and the deep sea. It examines various parameters within the coastal zone, shallow and deep water, and outlines the basic fundamentals of coastal and marine processes. Current state-of-the-art techniques used in modern coastal and marine research are described. Use is also made of the www to add supplementary material to that given in lectures. An industrial placement is an optional element of the Environmental Science, Geography, and Marine Science Honours Degree Programmes, and it provides a wide range of opportunities for students to experience work in many different fields of the broad subject areas. Students benefit by completing a placement period and improving their knowledge, understanding and practical abilities as well as enhancing their employment prospects. This module is a requirement of the Diploma in International Academic Studies and is mandatory for those students of Environmental Science, Marine Science and Geography studying in a European or International University or teaching in a foreign language. It is not available to any other students. Students on this programme are required to achieve at least 50 ECTS while abroad and contribute to seminars and a blog concerning their experience while at the host University. This module is a requirement of the Diploma in International Academic Studies and is mandatory for those students of Environmental Science, Marine Science and Geography studying in a European or International University or teaching in English. It is not available to any other students. Students on this programme are required to achieve at least 50 ECTS while abroad and contribute to seminars and a blog concerning their experience while at the host University. This module involves the completion of an individual research project conducted on an Environmental Science topic of students' own choice in conjunction with help from an academic member of staff (supervisor). This module examines the complex nature of conflict. It looks at a number of core related issues within the conflict arena including identity and society while contextualising the process of conflict resolution within a Development framework. Through a variety of teaching methods this module provides students with a clear focus on professional career opportunities and assists them in enhancing their environmental and geographically specific employability skills. Particular emphasis is given to the translation of the specific research skills of project planning, critical literature review and methodological and analytical techniques that they employed in the dissertation project. Students will gain an understanding of the various sources of postgraduate study and professional job opportunities available to Geography and Environmental Science graduates and will provided with the opportunity to experience a full job application, interview and selection process. This module outlines the theory behind the acquisition, processing, spatial-integration and interpretation of marine data, concentrating on marine acoustics. Geological, geotechnical, archaeological and biological case studies are used to explore the applications of acoustics to marine sciences. Use is made of world-wide-web for accessing extant and recently acquired digital marine data sets. This strategy reflects the increasing exploitation of the world-wide-web by marine scientists and Government Agencies to catalogue and distribute digital data. The module examines temporal and spatial signatures of environmental change with the aim of developing an understanding of landscape evolution at Quaternary to historical timescales. A range of proxy evidence (sedimentary and biological) is used to explore the links within the ice-atmosphere-ocean system in global context. This module applies theory and techniques relevant to current issues in water pollution, toxicology and management. The module offers students the opportunity to study a variety of spatial and statistical techniques relevant to the GI Industry. Techniques from GIS and remote sensing are applied to the measurement and monitoring of spatial patterns and processes. A number of software programs are available, especially ArcGIS 10.*. Practical experience will be gained using Global Positioning Systems. This module uses real life case studies to examine how landscapes may be managed and conserved. Examples are drawn from across a range of contexts and challenge the students to consider the complexity of decision making in environmental management. It is available to final year students in Environmental Science and Geography. This module explores the geographies of transnationalism an exciting, diverse and constantly evolving subject area. The module assesses how and why transnationalism has developed as well as encouraging students to critically reflect on their knowledge. Throughout the module students will be introduced to examples of how transnationalism can be found in the everyday and will be encouraged to write and reflect on this in their assessed learning journals. BBB to CCC to include Geography. Provided the subject requirement above is met you can substitute a combination of alternative qualifications recognised by the University for one of the A level grades. Award profile of DM (to include 6 distinctions) plus A Level Grade B toMM (to include 10 merits) plus A Level Grade C.
Award profile of D (to include 3 distinctions) plus A Level Grades BB to M (to include 5 merits) plus A Level Grades CC. H3,H3,H3,H3,H3 to H3,H4,H4, H4,H4 to include Geography. Applicants must also have Higher Level English and Mathematics Grade H6 or above or Ordinary Level English and Mathematics Grade O4 or above. The Scottish Highers requirement for this course is BBBCC to include Grade C Geography. Standard Grade 1, 2 or 3 in English and Maths required. The Scottish Advanced Highers requirement for this course is CCC to include Geography. Overall International Baccalaureate profile minimum 26 points to include 13 at higher level to include Geography. Higher or Subsidiary level in English Language and Mathematics required (grade 4 or above). Pass Access course with overall mark of 65% including 65% in all level 3 modules (Roe Valley Land & People Access course). For full-time study, you must satisfy the General Entrance requirements for admissions to a first degree course and hold a GCSE passes at grade C/grade 4 or above(or equivalent) in Maths, English. Level 2 Certificate in Essential Skills - Communication will be accepted as equivalent to GCSE English. Please note that for purposes of entry to this course the Level 2 Certificate in Essential / Key Skill in Application of Number is NOT regarded as an acceptable alternative to GCSE Maths. You may also meet the course entry requirement with combinations of different qualifications to the same standard as recognised by the University (provided subject requirements as noted above are met). Knowledge and understanding are required through lectures, practical sessions, directed reading, case study work, fieldwork, seminars, tutorials, and primary and secondary data evaluation techniques. Modules are assessed by a combination of coursework and examinations or by coursework only. The assessment methods used in individual modules are specified in the module handbooks. Each module adopts its own assessment strategy and may include one or more of the following: essays; literature reviews; seminar oral presentations; seminar write-ups; class tests; research projects/dissertations and examinations. Most students enter Year 1. However, if you can provide evidence of previous relevant study, you may be considered for entry to later years. Employers are particularly impressed by the flexibility of graduates in Geography. The subject encourages cross-disciplinary thinking, good communication and team-building skills, and a knowledge base that has wide application. Careers for Geography graduates are quite diverse. The flexible skills acquired during a Geography degree means there are many career opportunities in both the public and private sectors of the economy. Our Geography programme is recognised as an essential precursor for students seeking admission to PGCE (teacher training) courses in both the UK and RoI and the traditional fields of teaching have attracted many of our graduates throughout the years. Other career opportunities include working for Aid Agencies, Government and Diplomatic Services, Voluntary Organisations, Consultancies, Ordnance Survey, Town Planning, Travel Industries and Marketing, Estate Management, Rural Development Agencies, National Trust, Town and Transport Planning, Site Management, Population Census and Social Planning. After qualifying, about half of our graduates embark on postgraduate training in areas such as Town Planning, Tourism, Computing, Geographic Information Systems (GIS), Remote Sensing, Business Management and Export Marketing. Increasingly, our students are furthering their career prospects by undertaking a postgraduate course once their Geography degree is completed. You have the option to undertake a one-year work placement (in Year 3) with an industry partner leading to the award of Diploma in Professional Practice (DPP). These work placements can be at home or abroad in an organization (company, local or central government or voluntary organization), and you will work under the supervision of an Industrial Supervisor, supported by the DPP Co-ordinator and an Academic Supervisor from within the University. Alternatively, students can study in one of our partner universities in Europe or in the USA (through the Study USA programme or the International Student Exchange Programme). All of these international opportunities are available in Year 3 of the programme and lead to the award of a Diploma in International Academic Studies (DIAS). The School of Geography and Environmental Sciences is one of the largest of its kind in Britain and Ireland, with over 350 full-time undergraduate students, 250 postgraduate students and 23 academic, technical and administrative staff. Particular strengths in the School are the development of interdisciplinary taught and research programmes that integrate the environmental, earth and marine sciences with human geography and the use of spatial analysis to investigate relationships between the environment and society. Teaching in the School was rated as 'excellent' in the most recent Teaching Quality Assessment Exercise conducted by the Higher Education and Funding Council, and has consistently been included as one of the top ten of its kind in the UK in independent league tables published by national newspapers. We were also recently commended by the Quality Assurance Agency's Institutional Audit for the quality of our teaching and management of the learning experience. The John Coward Prize for Geography is awarded for the highest aggregate mark in Year 2. The Du Pont prize is awarded for the best undergraduate dissertation on aspects of the natural environment. Students who obtain a year average of 70% at Levels 4 or 5 are eligible for inclusion on the Dean's List. Students will be expected to make contributions to the cost of residential fieldwork. Residential fieldwork takes place in all years of the programme. These costs associated with these trips may vary from year to year depending on destinations but across the three years may total approximately £400. A degree in geography from Ulster University opens many new doors in terms of your career choices. This section looks at some of the careers chosen by our geography graduates and presents short profiles of alumni outlining a variety of career paths and their experiences studying with us. Geographers specialise in understanding and trying to improve society’s problems. In the degree programme at Ulster you will develop a range of quantitative and qualitative research skills, and address a range of human and physical geography issues; such as climate change, coastal erosion, conflict, development, and poverty. Our graduates are employed across a wide range of fields. Many have forged careers in environmental agencies, GIS, education, consultancy, town and country planning, and public administration. A 2010 poll of over 200,000 graduates from UK universities found that those with geography degrees had the lowest rate of unemployment six months after graduation of any discipline polled (Higher Education Career Services Unit). Alumni case studies: find out what some of our geography alumni have to say about their time at Ulster and what they are doing now. I graduated from Ulster University in 2012 and then took a 3 month role as a Mapping and Charting Officer with Land and Property Services (LPS) before completing an MSc in Geographic Information Systems (GIS) at Ulster. After completing my MSc I returned to LPS as a Mapping and Charting Officer, mainly working on the Northern Ireland address gazetteer. During my time at LPS I also had the opportunity to work on a GIS Consultancy project with a Council. I subsequently worked for the Northern Ireland Ambulance Service as an Information Analyst which involved performance analysis and use of GIS to assist in performance monitoring and decision making. I am now working with Gaelectric as a GIS Project Officer and predominantly work on Onshore Wind Farm Projects. I graduated in 2009 and then completed a PgDip in GIS. Following this I worked for Northern Ireland Water (NIW) as a GIS technician, using skills I had gained at university I applied them to different GIS software. This provided the groundwork for my current positon as a hydraulic modeller with civil engineering company, Mouchel, where I am responsible for the construction and calibration of hydraulic models based on NIW’s supply network across the whole of Northern Ireland. More recently I have been using these models to carry out analysis on the network to assist NIW with their Watermain Rehabilitation Framework (WMRF) by testing the impact their proposed rehab changes has on the downstream network.Alongside this I am also completing an online course with World Bank Group on ‘Designing and implementing successful water utility reform’ and working towards chartership with the Institute of Water. I graduated in 2011 and continued my postgraduate studies at UU, completing an MSc in GIS. During my MSc I gained valuable work experience through a 6 week placement in Land and Property Services. I also became involved working on a Fuel Poverty project run by Ulster University in conjunction with the Department of Social Development (DSD) and the Office of First Minister and Deputy First Minister (OFMDFM). I switched to taking the MSc on a part time basis which allowed me time to work on this project and also complete my dissertation, which was related to the project. I have since worked on several different GIS projects in Northern Ireland Water and Northern Ireland Housing Executive. Since June 2013 I have been working as a GIS Consultant with ESRI Ireland, based in the Water Management Unit within NIEA. I graduated in 2010 and then completed a MSc Heritage Science in 2011 from Queen's University Belfast. After my postgraduate course I completed a Heritage Lottery Funded Bursary placement with Historic Environment Scotland in Edinburgh as part of their Digital Documentation team. This saw me carrying out 3D Laser Scan surveys and other digital documentation techniques on HES properties in care including Edinburgh Castle and The Forth Bridge, as well as smaller scale artefacts including a prayer book created by Elizabeth I. I then worked for CyArk - a non-profit company dedicated to digitally archiving the world's heritage sites for preservation, conservation, and education. As part of the organisation I was responsible for the collection and post processing of scan data, photography, and video recordings of heritage sites. Part of this saw me survey the Fountain of Peirene and the Temple of Apollo at Ancient Corinth, as well as processing survey data from various sites around the world. I currently work for Russel Geomatics, who specialise in as-built and condition surveys of heritage sites, including several of Britain's Cathedrals. These are carried out using 3D Laser scanners and other survey techniques I learned the fundamentals of during my undergraduate. I'd be lying if I said I didn't love it. I wouldn't have been able to get into any of these positions without my Geography degree. It instilled in me an understanding of many different systems and processes, from GIS to geology skills and understanding of how a place can be shaped by culture and the people using it. It changed the way I think for the better, and definitely for the more useful. University made me a much more mature and well rounded person and I don't regret going for an instant. I graduated in 2009 before going on to complete a PGDip in GIS the following year. My undergraduate and postgraduate studies at Ulster University greatly enhanced my knowledge and experience of GIS and gave me a strong foundation for taking my knowledge further into the workplace.After my time spent at UUC I took up the posts firstly of GIS Technician and later GIS Data Analyst within Northern Ireland Water over a period of 4 years from 2011 through 2015. Here I was responsible for digitising new and existing above and below ground water and sewer assets onto the company’s corporate GIS. I also had the task of responding to internal and external data requests through querying of the asset register. Since October 2015, I have been working for Sopra Steria as a GIS Consultant on a range of Public and Private sector client GIS projects. I graduated from the Ulster University in 2014 and began a PGCE (Secondary) with Geography at Liverpool Hope University that September. Before the completion of the course I had secured a job at West Kirby Grammar School, a high performing, selective state school. During my time at WKGS I have had the opportunity to teach across the curriculum from Key Stage 3 to 5. I have availed of many opportunities including 2 fieldtrips to Iceland, 1 to Belgium and a 2 week geography trip to China in summer 2017. I have taught an array of topics at varying levels, including specialising in human geography at A Level and assisting in the planning of a new course and the implementation of a new fieldwork study at this level. I believe it was the experience and skills developed during my time at Ulster that assisted in me securing a place on my PGCE course and my current teaching post, especially my knowledge and understanding of GIS and ability to incorporate it into my teaching. I graduated in 2012 and started my first job the day after graduation working for the Department of Agriculture and Rural Development (DARD) before returning to Ulster University to complete an MSc in GIS in 2014. The two thirds of the masters were completed in a full time setting while the dissertation was completed on a part time basis as I was working as a Mapping and Charting Officer for the Department of Finance and Personnel, developing the pointer mapping dataset, Northern Ireland’s authoritative addressing dataset. The modules taught at University within the environmental sciences help to develop a well-rounded set of skills highly sought after by industry, including the economic importance and impact of decisions. Lecturers are friendly and passionate about what they teach which helps to encourage students, but creates a positive learning experience in which to ask questions or seek support with difficult concepts. In terms of post graduate study, I looked at the job specs for jobs I wanted rather than the ones I could get straight out of my degree and realised that a number of doors would be limited without the Masters for my chosen route. Since my Masters, I have worked for Terra Quest (private mapping company), as a GIS consultant for Ordnance Survey Northern Ireland. I currently work in Milton Keynes for a company that helps bridge the gap between innovative research and wider industry adoption within the transport industry as a GIS Engineer for Transport Systems Catapult. Much of the work involves researching new emerging technologies such as Virtual Reality, CAV’s (connected and autonomous vehicles) and providing Geo-spatial expertise to projects and collaborative partners. I owe much of my success to the solid educational foundation I gained while studying at Ulster University, Geography too as a subject can add value to any industry that involves people or places. I graduated in 1996 with a Geography degree and am now a Property Research Lecturer in the School of the Built Environment, Ulster University. My teaching and research are related to property market investment and planning. For example, one of the modules I teach is ’housing market dynamics’ which includes issues such as affordability and the number of first time buyers. This teaching links to a research project ‘The Northern Ireland Quarterly House Price Index’ that I have co-authored for over 10 years. I consider myself a geographer although I am now specialized in one particular aspect of social geography. Once I finished my degree, my first job was in a small private town planning practice as an assistant town planner completing multi-use planning applications and liaising with planning officers on behalf of developers. My background in geography including experience of GIS and mapping skills with an understanding of land use, geology and topography were valuable assets. In my School, it is no coincidence that many of the lecturers have a geographical background. A geography degree contains both knowledge and skills (such as understanding statistical evidence, measurement, interpreting scientific results) which provide an excellent basis for many jobs. As geographers, we have learnt to gather information, evaluate different sources and to identify problems, make connections and offer solutions. In our current world the challenge to consider global issues which have physical, social, economic and environmental consequences requires all these skills and as geographers we have a lot to offer. I graduated in 2012 and then took time out of education to travel Australia, Asia and the South Pacific, returning to the UK three years later to take my MSc in GIS at the University of Portsmouth. Through undergraduate study at Ulster I was awarded the Diploma in International Academic Studies (DIAS) with Commendation for an ERASMUS study placement year abroad, where I lived in Gießen, Germany, studying geographical modules in German, such as Spatial Planning, Crime Mapping and Urban Geography, at Justus-Liebig Universität. I would strongly recommend taking a year out in the third year of undergraduate study, as the experiences I had were beyond any of my expectations, from travelling around Europe to meeting like-minded students from all over the world, it is something I will never forget! The degree at Ulster provided me with strong foundations for personal development and key technical skills in GIS and remote sensing that are essential in the commercial environment. Postgraduate study offered a deeper understanding of more advanced concepts of database design/maintenance, modelling and analysis and definitely promoted me in terms of employability. Last year, my MSc dissertation in wildfire research using GIS and remote sensing was sponsored through the Ordnance Survey Dissertation Programme Award, which involved a conference presentation of my work at OS Headquarters in Southampton. I was offered a job as a GIS Analyst at Savills in Dorset almost two months before finishing my MSc and of course jumped at the opportunity. I have had the chance to get involved in some pioneering projects using bespoke methodologies and multiple GIS and database software programmes within a highly competitive environment. In April 2017 I start a new position as GIS Officer for East Kent Services, providing GIS support and to three local authorities in Kent County. I am very much looking forward to the challenge. I graduated from Ulster University in 2011. Heavily involved in youth work, coupled with a love for my subject led me to the realisation that I wanted to be a teacher. I spent the next 3 years working as an SEN Classroom Assistant. In 2014-15 I was successful on getting onto the PGCE course in Ulster University and completed a Post Graduate Certificate in Education - Post Primary. I now work as a Geography teacher in a secondary school in Belfast and absolutely love it. I believe Geography is an eye opening subject that leads people to have a greater understanding and appreciation for the world around them. I think particularly of my GCSE class, who when learning about climate change and its impacts, gained a greater appreciation for what they have, and devised ways we could mitigate and adapt to this growing issue. Becoming a teacher did not come easily; I got onto the PGCE course on my third attempt, but I am glad I persevered. My undergraduate degree set me up for one of the best careers on the planet (I may be slightly biased). Every day, I get to play a small part in shaping the lives of the next generation and all the while, teaching them to be sustainable stewards of the world around them - what a privilege. Interestingly as a side note, my dissertation at Undergrad focused on the redevelopment of the Maze site. On my first date with a girl who I liked, we found common ground on this as this was what her PhD was on. Fast forward a few years and we are now happily married. You never know what your Geography degree will help you achieve in life! I graduated with a BSc (Hons) Geography (2008) and an MSc in GIS (2009) from Ulster University. I now work for AECOM in New Zealand, where I am involved in all GIS aspects of a major Fortune 500 engineering consultancy firm operating on a global scale. My work is wide ranging. I have been involved in hydro dams construction throughout the Asia-Pacific region, major transport and rail projects from electrification to a new subway, flood hazard modelling and mapping, aviation projects and mining projects in Australia to name but a few. I would really recommend furthering your education and going on to do a postgraduate course. I thoroughly enjoyed my PG study in GIS. I learned much more about myself and what my strengths and weakness are than I ever could whilst studying as an undergraduate. The relationships you form with the lecturers are a great stepping stone to full time professional work as they get to know you and your abilities better. In the current climate with copious amounts of graduates flooding the already saturated job market each year the only way to ensure you get the job you want is to give yourself a leg up. Completing a PG degree gives you great life skills. Potential employers realise that you are willing to work hard for what you want and will be a benefit to their company. I left Ulster in 2009 and now I am in New Zealand. I honestly don’t think I’d be here on a regular degree. I graduated from Ulster University in July 2014 after spending a year during my degree gaining some work experience and teaching practice at Dominican College, Fortwilliam. I was fortunate enough to be accepted onto the PGCE Post-Primary Geography at Ulster University and graduated from this in July 2015. After completing my PGCE, I took the plunge and moved to England in August 2015. I now work as Assistant Director of Humanities with responsibility for Geography at Lealands High School, Luton.